Since stepping onto the scene in 2000, they have gone on to become one of the leading duos in Gospel Music. With 3 Grammy's, 5 million albums sold, and multiple Stellar Awards, this doesn't even matter, considering the lives that have been changed because of their influence and the message in their music. Never have they been afraid to proclaim the name of Jesus even when on mainstream popular stages. One thing's for sure, Erica and Tina Campbell, better known as Mary Mary, certainly have proved that there is no limits in what GOD can do when you surrender to his plan for your life. While rehearsing for their latest tour, "Still: Something Big", together with BeBe and Cece Winans and VaShawn Mitchell, we had the opportunity to chat briefly with the duo to discuss their new album, Something Big, as well as the latest on BET's Sunday Best and more. GOSPELflava: Thank you for agreeing to sit down with us. What did you find the most difficult or challenging in preparing for Something Big, compared to your previous projects? Erica Campbell: You know, I don't look at it as a challenge, I look at every record as what God wants us to do, sing, and say. We definitely don't go in with a competitive mindset as it relates to whatever the last album or single did. I feel that God will give me something new every time, so as long as I'm open to Him. I feel that this record will make a statement of its own, and do what it's supposes to do, without it being intimidated by "The Sound", or "God In Me" or anything like that. GOSPELflava: This year will mark your 11th year as a duo in the music industry. How does it feel to look back to the days of "Shackles", when you first started, all the way to now? Erica Campbell: It feels great! I feel like we are still brand new in a lot of respects. I feel like we have a lot to do and a lot of doors to destroy and not just open, to kick down and leave the door on the floor in little bits and pieces. But we still have a whole lot to do and I'm excited God has allowed us to be sustained and make records that people still listen to and enjoy. It's a blessing to inspire people who came out when we did, and you don't really know where they are anymore, so it's a blessing to get up every day and sing and write music and have people listen to it and purchase it and come and see us at the concerts. It's really beyond me that GOD will allow us to do this. GOSPELflava: Where did the concept of "Something Big" come from; what was the thought process? Erica Campbell: Well the song, "Something Big" just kind of stuck out. Along with the song we are telling people to live big, love big, give big, and do something big. We actually have a campaign on our Facebook page that's challenging people to do something to change the surroundings, whether it's helping a school, donating books to the library, helping clean up the neighborhood, helping homeless people and senior citizens, doing something initially to help change your street but eventually your city, state, and then the world. That's the "something big" we are talking about, everybody plays a part if we serve this great big, awesome, mighty GOD! How come we put him in this box and slap a label on him, which means He can only have his music played on a Sunday? He's GOD who created the free world, he's not American, he's not Black, he's not Pentecostal, he's not Catholic, he's the God of the universe, He created all and He is all. So his music should be everywhere at all times affecting all people and I think , "Something Big" for us represents us knowing who we are even more profoundly understanding our position and how we are seed planters, and our music goes different places that some people don't go or won't go, or feel like we are suppose to be. We feel like as God's children and God's daughters that we belong everywhere so that's what "Something Big" is for us and I hope that everybody gets it and understands and follow suit! Let's change the way people view who we are as the body of Christ. GOSPELflava: It's funny you mention that because you have graced major stages such as the Image Awards, and have been given opportunities that some Gospel artists might not get a chance to have, such as to be part of the "We Are the World" tribute. 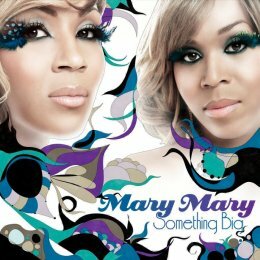 How do you deal with those that don't understand what Mary Mary is called to do? Erica Campbell: You know you take one day at a time. And I thank God for my uncle who was my childhood pastor where we were born and raised. He used to say all the time, "As far as I know, everybody loves me, and I love everybody and don't you tell me nothing different". That negativity doesn't help get us anywhere, it doesn't propel us, it doesn't make me a better song-writer, or better singer. I know a lot of people focus on the haters and use that energy. I don't need energy from haters or hatred or anything like that. I use the energy of the people who support me and believe and me, and really you don't have a right for me to change my emotion when you don't even like me in the first place! You don't even love me and I'm gone waste emotion on you, when it could possibly be some young kid, in "wherever USA", who don't really do anything with their life and take stabs at who you are and what you are? God bless them and I wish them all the best. I focus on the love and the support and knowing that God has placed us here to do something for him and change the way people look at us. GOSPELflava: What is one of the biggest lessons that you both have learned along the way? Tina Campbell: I heard this in Sunday school and I found this to be true, my instructor said if you take care of your integrity, God will take care of your reputation. And I have realized that is so true. There are so many people that question who we are and what our agenda is, what our motives are, and they question all these things but I think they experience us and they see that we are people of integrity, and we are not trying to become, we just are who we are. Nothing that we do is contrived or affected; we don't come with an agenda, except to give people GOD, the way He gives [Himself] to us. I think once people are able to experience us a little more personally, they realize that. So that statement if you take care of your integrity, God will take care of your reputation makes a world of difference. After you've experienced years and years of naysayers, and then people meet you and there are like "Wow, you're nothing like I thought you would be. You guys are real genuine, and you really are about what you are about. You really do stand for God, you do it your style and it's not traditional, but you really do stand for God". I think it's a wonderful testament of how living for GOD does pay off. GOSPELflava: How do you feel about trends in music this year, with artists such as Lady Gaga who seem to have major influence? Erica Campbell: Since this is GOSPELflava, I'm going to go ahead and say it how I feel about it! I expect sinners to sin. I expect sinners to do sinful things. I expect them to go about and dance and dress like they do. They are not going to be modest and mindful and thinking about what's going to happen and how this is going to affect the mindsets of people. A lot of mainstream media today is about "how do I make myself bigger". It's a very self-centered industry. People like Lady Gaga, I don't expect them to think about, "What are children going to think". I don't expect her to understand or take on a Christian mindset as it relates to how GOD created us. So I understand what that is. Tina Campbell: They do their imaging, because most of the time when you are singing about GOD you are representing God. And you understand that everything that you do is a reflection of Him, be it good or bad. So you are a little more conscious of who it is you're representing. When you are a mainstream artist you are just representing YOU. People are not thinking about their community, parents, ethics, the way they have been raised, NONE of that, it's just "I want to be a big star, so whatever works, just do you, however you do it, and if it sells, it's all good." So like Erica said, that's what you expect, that's what the mainstream industry is about. They're not governed by the same moral laws that we are, so to speak. And, by the way, there are also people on our side that aren't governing themselves by the same laws! But you find it more in the mainstream industry because they are not representing God, so you don't expect them to be Godly. GOSPELflava: The auditions for Season 4 of BET's Sunday Best just wrapped here in Atlanta. What can expect from this season of Sunday Best? 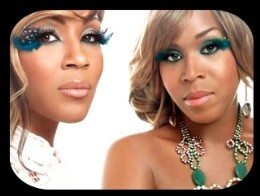 Tina and Erica Campbell: There was some really incredible talent in Atlanta, there were about 9 million people there! But it was some incredible talent. I have to say, the talent was lacking in some of the other cities. L.A, and Dallas, we expected more, we did find great talent in those cities but we expected much more, and we certainly got more in Atlanta. So I think we have a great group of incredibly talented people, and we will get to see them display their talents and see who ends up in that number one spot. Along the way there will be some laughing and some crying. You guys will get to see the contestants a little more. GOSPELflava: You are in rehearsals now for your upcoming tour with Bebe and Cece Winans and VaShawn Mitchell. How are things going? 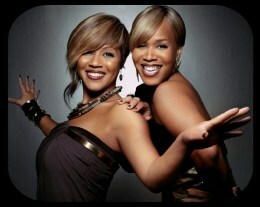 Tina and Erica Campbell: Rehearsals just started and are going great. The band is sounding incredible and I think things are going to come together. We are in our second day of rehearsals, so its new and fresh but we are hopeful that everything is going to come together well and that we will have a great tour, and everyone will want to start coming to see Gospel shows because we do them well! All content in GOSPELflava.com © copyright 2011. No information to be reprinted or re-broadcast from this site without the expressed written consent of GOSPELflava.com. All rights reserved.